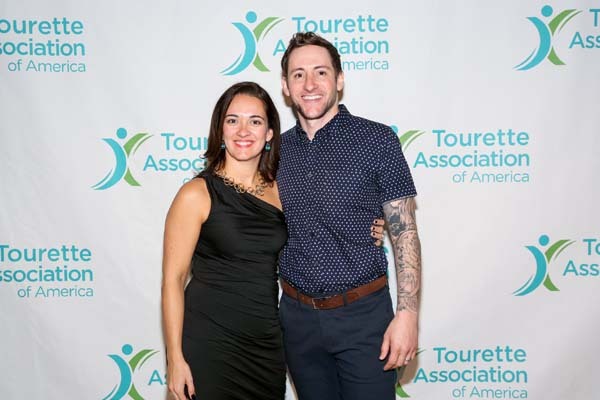 December 2, 2018 -– Tourette Association of America (TAA), the premier national non-profit organization serving the Tourette Syndrome (TS) and Tic Disorder community, today announced that it raised over $1 million at the organization’s annual Gala at CAPITALE in the Bowery, gathering hundreds from the TS community. Honored at the event was Domenick A. Cama, President and Chief Operating Officer of Investors Bancorp and Investors Bank. The night featured a comedic performance by America’s Got Talent and Comedian Samuel J. Comroe and a musical performance by Trevor Smith. Comedian Samuel Comroe was a crowd pleaser and shared how he uses humor to deal with the trials and tribulations of living with Tourette Syndrome, including his experience being bullied. Comroe’s performance at the Gala was one of more than 100 clubs and colleges that he performs at across the nation. All proceeds from the Gala support the Tourette Association of America and its mission to make life better for all people affected by Tourette and Tic Disorders. For more information and to get involved, please visit tourette.org. Founded in 1972, the TAA is dedicated to making life better for all individuals affected by Tourette and Tic Disorders. The premier nationwide organization serving this community, the Association works to raise awareness, advance research and provide on-going support. The TAA directs a network of 32 Chapters and over 80 support groups across the country. For more information on Tourette and Tic Disorders, call 1-888-4-TOURET and visit us at tourette.org, and on Facebook, Twitter, Instagram and YouTube.